Smartphones and tablets have become increasingly popular as consumers depend on mobile devices more every day for convenience. In fact, an estimated 25 billion mobile applications were downloaded on iPhones, Android devices and Blackberries in 2011. That number is expected to double in 2012, indicating that mobile marketing tools are here to stay. Mobile applications, commonly known as “apps,” are programs you can download to a mobile device -such as a phone or portable tablet. The app connects to the internet carrier, and works as stand-alone software on the device. Apps can be anything – including mobile versions of popular websites, games and programs used for word processing, spreadsheets, or expense tracking. There are different types of apps you need to know about that are important within the real estate community – apps for your customers and apps for REALTORS®. There are apps you can provide to your customers that will allow you to connect with them on the go. These apps allow customers to access your website, view your listings and click to call you from their phone while they are out looking at houses, running errands or away from their computers. We’ll get into more detail on what a customer app looks like in the mobile website section below. There are also apps you can use as a real estate professional to make your job a whole lot easier while you’re out on the road. Inman News recently released a list of one hundred available and powerful real estate apps. The apps listed include everything from file transfer and remote connection tools to e-signature tools. A review of this list allows you to determine which tools are the best for your productivity. Why are customer apps so important? Mobile marketing tools for your customers that allow them to interact with your company on-the-go can generate leads and business for you. The newest trend in mobile marketing tools is the mobile website. In many instances, traditional websites are not optimized for viewing on mobile devices – they can be bulky and overwhelming. It is important to provide your customers access to a mobile-friendly version of your website. Z57 offers Z57Go, which allows you to provide your customers and prospects with a connection to you, your business and your powerful lead generating website anytime, anywhere. Today, customers find mobile applications easy and beneficial, and now expect companies to offer the same apps. 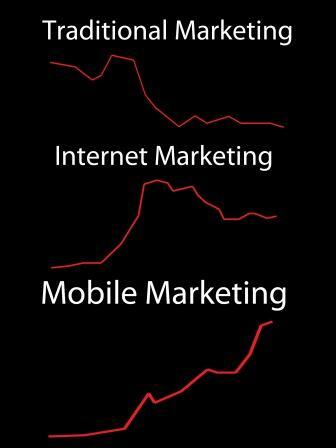 Implementing mobile marketing tools into your business is a great way to save time, increase efficiency, and show you’re up-to-date on current market trends. Learn more about mobile marketing tools by calling 800-899-8148.